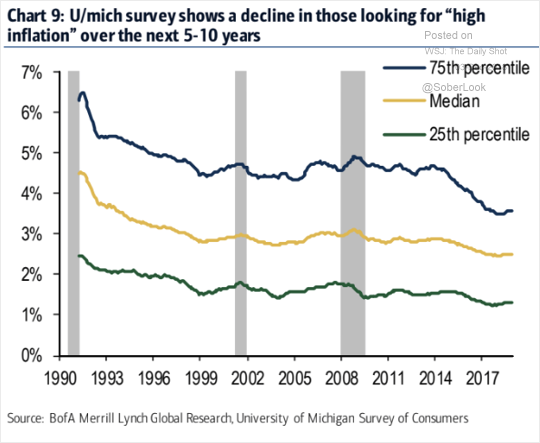 The United States: The U. Michigan survey tells us that Americans who expect the highest long-term inflation have been scaling back their projections. 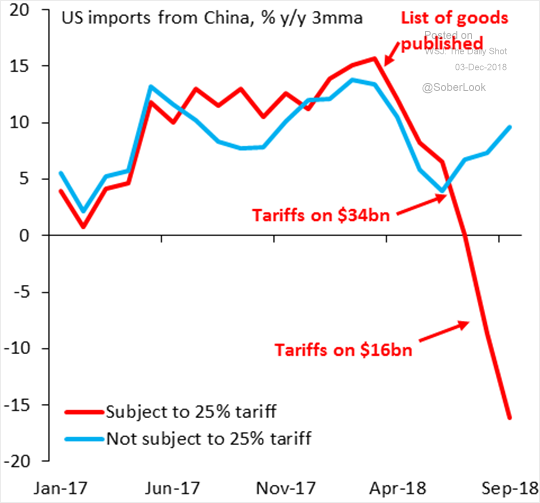 China: US imports of Chinese goods that are subject to 25% tariffs are collapsing. That’s why a delay in the current 10% tariffs becoming 25% is a big deal. 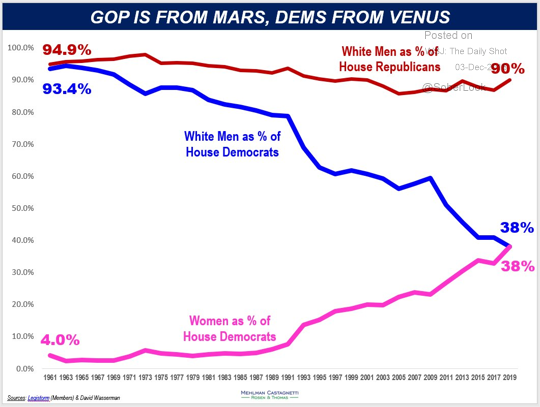 But can it be averted altogether? 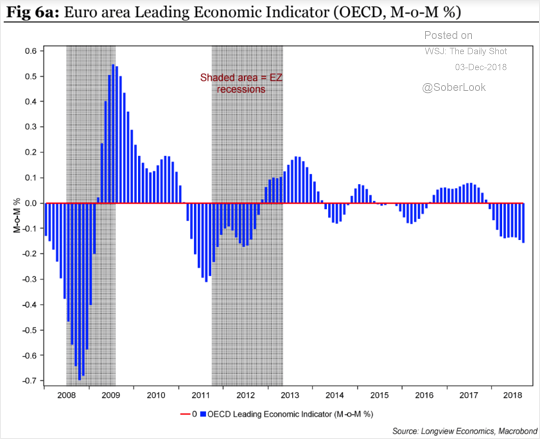 The Eurozone: Here is a leading economic indicator for the Eurozone. 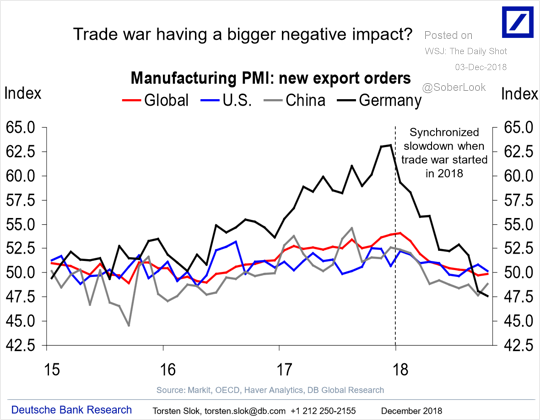 Global Developments: Manufacturing export orders have been moderating. Credit: Investment-grade (IG) debt continues to underperform high-yield (HY). 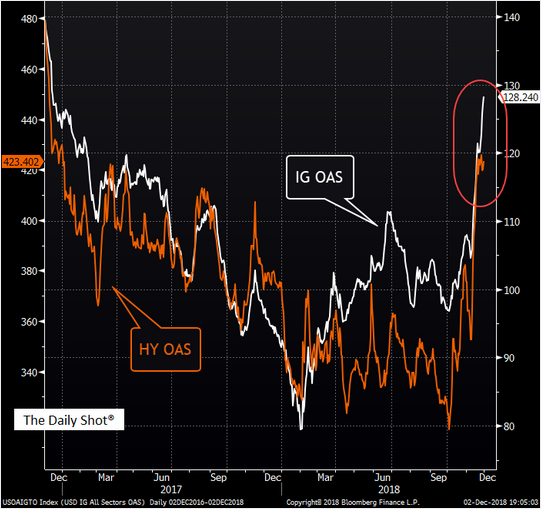 The chart below shows IG and HY spreads to Treasuries. 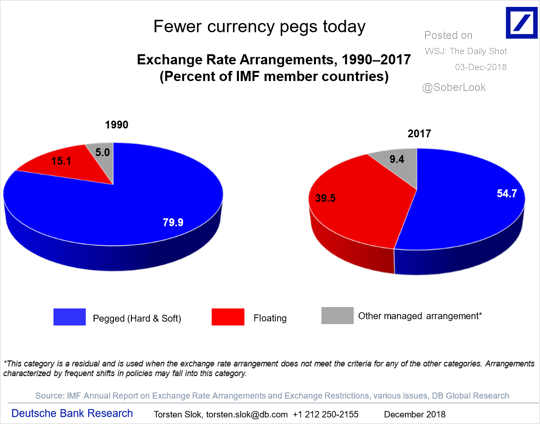 Emerging Markets: Fewer nations are using a currency peg these days.